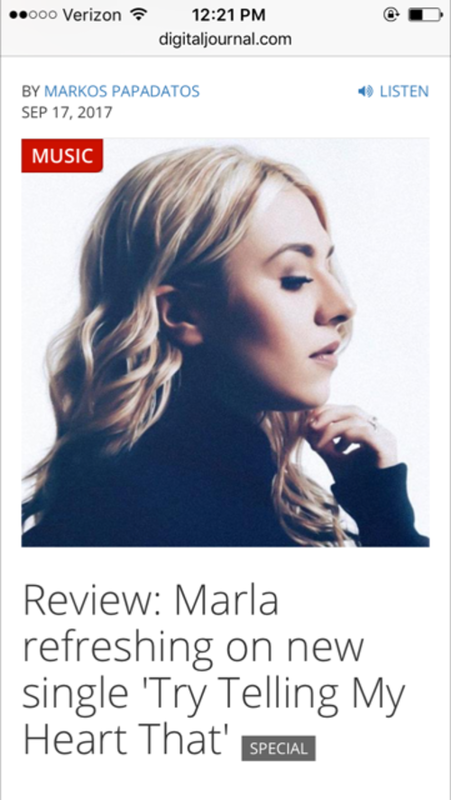 RT @jpost13: Just listened to @helloitsmarla's new EP #Marla https://t.co/V2ylirNVFF everyone go give it a listen!! 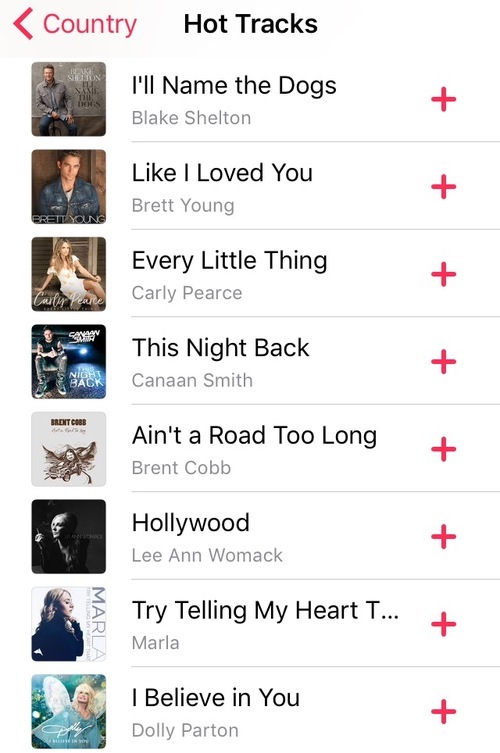 RT @Saiders_10: Try telling my heart that..
https://t.co/NGPhSbIFST Just got added to this playlist- Boom!! Such incredible company there! @TeriGallucci Thank you so so much Teri!! RT @miss_madelinee: Some day I'll get passed the past... yeah, try telling my heart that. RT @dylanjulia15: Try telling my heart that.. I tried, it won't listen..
@victorehusky that was a fun show!!! @hauschen thank you Jeff! You too!! @hauschen Hope you had a great weekend Jeff!! @AbbyJeanU HAH! 🤗 hope I didn't disappoint!! @hauschen have a great week Jeff!! @hauschen thank you Jeff!! Have a magnificent weekend yourself! @TheReturnOfJase hey Jason!! Writing writing writing demoing demoing and repeat! :) :) how've you been?? @hauschen Happy Thanksgiving to you, too, Jeff! Retweeted Ian Williams (@ianwilliams96): @marlammorris performance at fisher is unreal!!!!!! RT @ianwilliams96: @marlammorris performance at fisher is unreal!!!!!! @AlbobJauregui thank you so so much!! You rock! @antmaurizio You too! Must catch up! @hauschen Happy belated birthday Jeff!! @mcrisafio you're gonna nail it! @antmaurizio hey hey!! Thanks bud! @hauschen Happy belated Easter to you Jeff! RT @7LaurenMichelle: Writes with @marlammorris are good for my soul.. And my abs. Laughter for days. @mcrisafio you are the sweeeeetest!!! @Bieber_Girl4Eva @timehop @marlamorris love it!! @chrisburkmenn Always awesome catching up with you mister!! @hauschen Thank you Jeff!! And to you too!! RT @hauschen: @marlammorris I can't get enough of your EP!! It's the greatest ever made!! I have listened to it at least 100 times!! I get such a thrill out of eating out alone. @TheReturnOfJase THANK YOU JASON! That was too kind! RT @hauschen: @marlammorris I have it and I'm totally in love!! Best EP Ever!! It's on repeat and repeat and repeat!! Can't get enough!! WOW!! @MickeyGuyton Thanks girl! 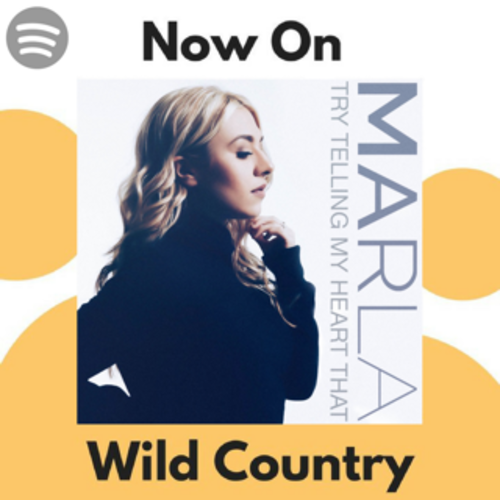 Pumped about your single! @mcrisafio You've already brightened my week! Woo!! “@jenlhoffer: Much more than music guys. 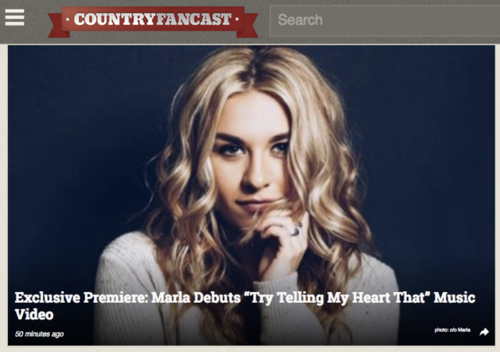 This gals one of many talents @marlammorris http://t.co/C6DmVc7sJZ��� I'm one heck of a catch. RT @hauschen: @marlammorris WOOHOO!!!! December 9 is gonna be the Highlight of the year!! Can't wait!! Gronk is Optimus Prime dressed in a Patriots uniform. @brownCstephanie @GrantVogel @wittmckay THANK YA!